This Funny Reindeer girl figure with a round tray in one hand which is ideal for standing beside your comfy chair by the fire with a warming Christmas glass of sherry for you. 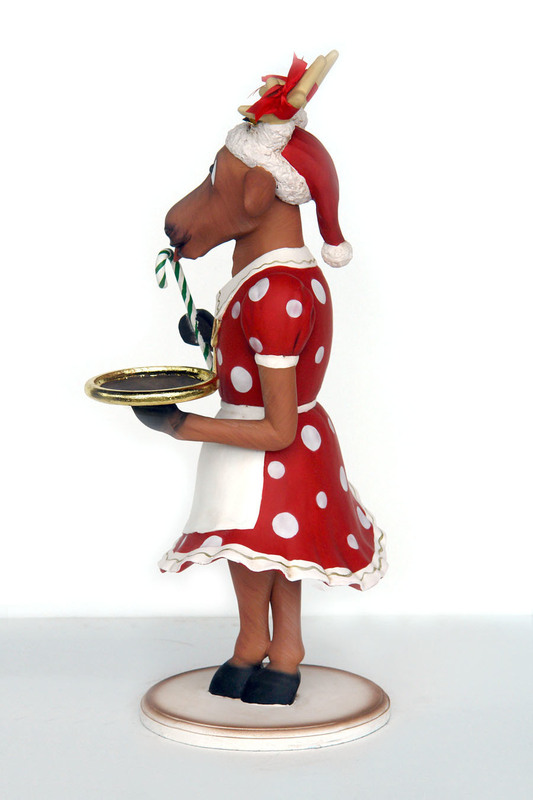 In her bright red dress with big white polka dots holding a candy cane in one hand and a tray in the other with a Christmas hat with antlers sticking through. 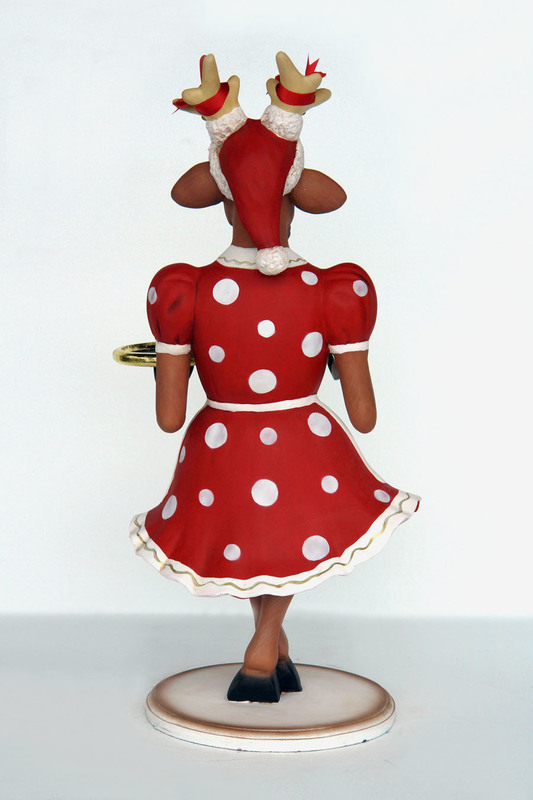 She also has bells tied with red ribbon on her antlers. This jolly Funny Reindeer girl figure can either be used at home or in a Christmas grotto or shop display window. 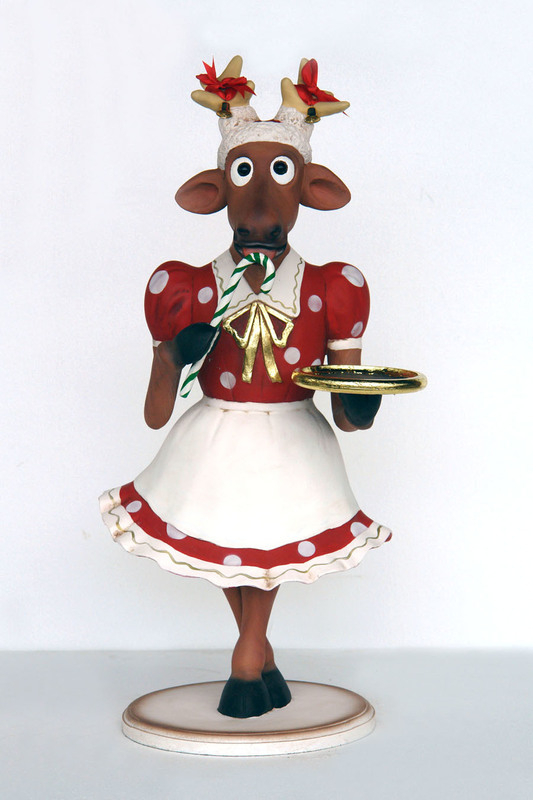 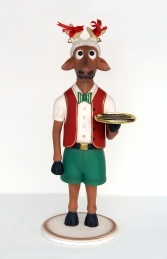 Why not pair her up with our new Funny Reindeer Boy 3ft (JR IY). 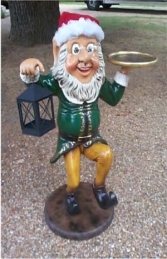 Before placing your order, if you have any queries or special requirements we will be happy to discuss these with you by phone or email.